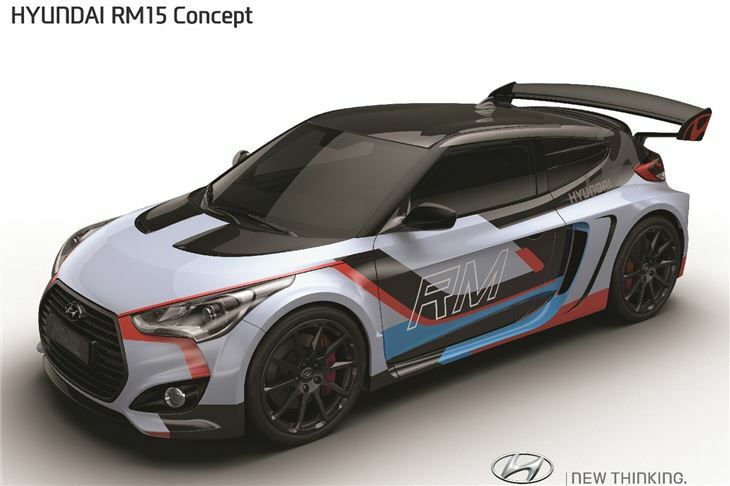 Veloster based WRC concept designed to show Hyundai's commitment to the World Rally Championship. Maybe the rules would have to change. 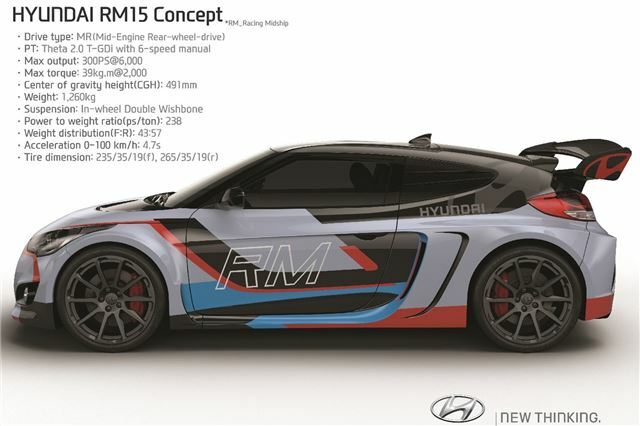 Hyundai has seen the value of the World Rally Championship in genewrating publicity and at the Seoul Motor Show in 2015 presented the RM15 Concept as its idea of a future rally car. “The RM15 is another bold statement of the progressive spirit of Hyundai Motor, illustrating what we can achieve when we channel our passion and enthusiasm into a product that is not limited by convention,” comments Joonhong Park, Senior Vice President and head of High Performance Vehicle Development Center at Hyundai Motor Group. “I’m very proud to unveil the RM15 at our home motor show, where visitors have become used to seeing Hyundai Motor confidently give expression to its creative and engineering talents and energies. We intend to demonstrate our progress with high-performance technologies with other exciting prototype projects in the near future”.